This is just a quick post to tell you about a nice puzzle game I spotted on Mathstodon. It’s called Transposition, and it’s a sliding block puzzle in the vein of the popular game Rush Hour. You’re given a grid that’s almost full of rectangular blocks, and you have to slide them around each other until the two coloured blocks have swapped places. The puzzle was invented by mathematician Jacob Siehler, who says he used a computer search to generate a pool of puzzles, given the rules of the game. I took quite a while to solve all 5 “easy” puzzles – as with any logic puzzle, you need to play about for a while to get a feel for the mechanics. I hadn’t appreciated at first that the grey blocks don’t need to be in their starting places when you solve the board – only the coloured blocks need to in the right positions. There are 26 puzzles at the moment, ranging from “easy” to “very hard”. Have a crack at it! I really enjoyed it. Removing four lines at once with an I-piece in Tetris is the most efficient way to score, which creates a tension: on one hand, you want to build high enough to score quickly, but on the other, building too high puts you at risk of ending the game. The balance between the two is exquisite. I mention that, because I was about to grumble that the corresponding balance in MEI Maths’s new game app thingummy Factris isn’t quite as good – of course it isn’t. Nothing ever will be. Welcome to #104 of the Math Teachers At Play (MTaP) blog carnival. A blog carnival is a regular blogging round up coordinated by someone (in this case Denise Gaskins) that moves around different blogs each edition. This time, I’m taking a turn. 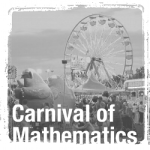 I notice that our post queue is filling up with interesting mathematical apps, so I thought I’d deal with them all in one big roundup post. 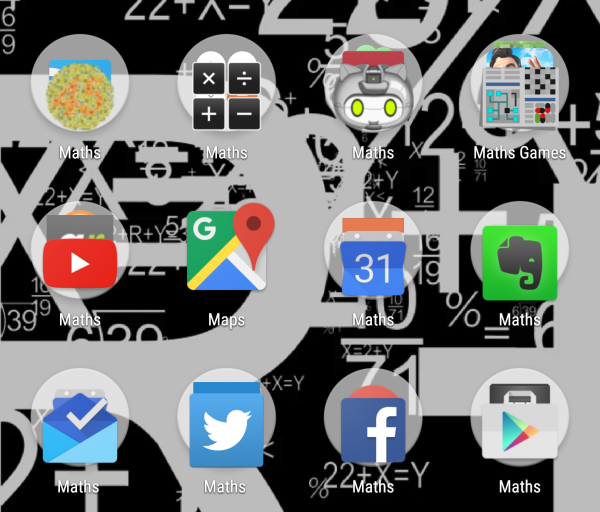 Read on for a mix of mathematical games, apps to help with calculations, and some frankly awful art.